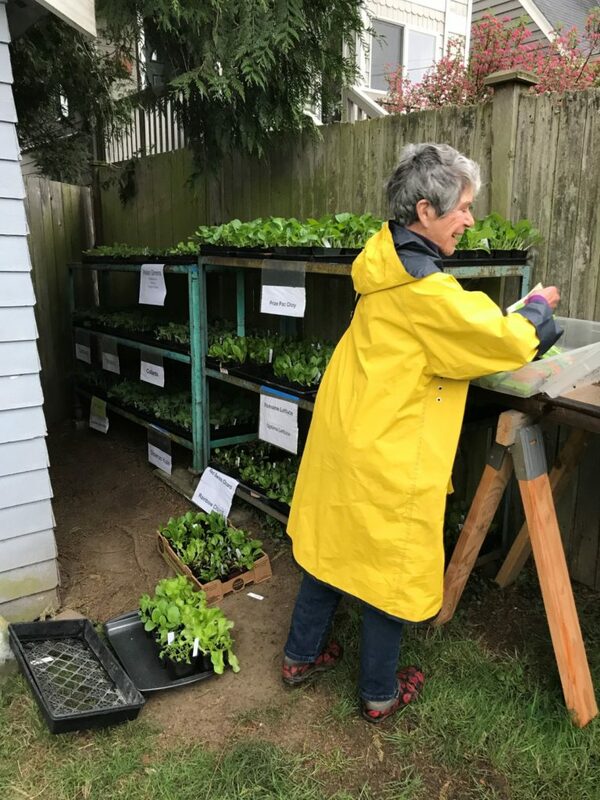 The Sprouts project delivered its first set of plants on the weekend of April 7th & 8th to Seattle gardeners who are growing food for the food banks. 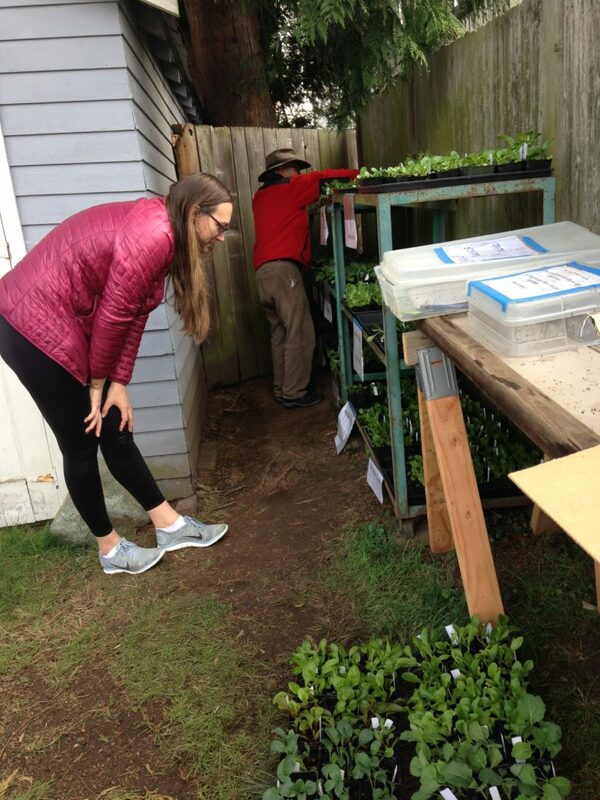 Over 6,000 plants of cool weather crops were picked up by 32 Giving Gardeners or Food Bank Gardens: Pac Choi, chard, kale, collards, broccoli, lettuce. A great team of volunteers started planting seeds on February 16th. Then on March 5th we started transplanting the sprouts into pots, five per pot. By early April the plants were fertilized and hardened off and ready for pickup. Tomato seeds were planted on April 1st, they sprouted by April 7th. Next they will be transplanted into pots for pickup in late May.